Would Human Cloning Research be Initiated Again? The world of comic cons is getting more and more popular as events are showing up internationally. The comic con events feature cosplay contests, people dressing up as their favourite character, booths with well-known professional artists, panels, interviews and sales of everything from memorabilia, rare comics to toys and costumes. There are all sorts of things to see at comic con events, such as animations, films, tv shows, comics, gaming, sci-fi, horror, anime, pop culture, games and loads of other things. You can also find things from bubble head, comics, plushies, to artists displaying their artwork and much, much more. Comic cons are popular for all ages and so many people have grown up with these comic characters from watching them on TV. As kids, they had their superheroes, 20-year olds read comics and now they see them on TV being portrayed by real life people. Little kids always like superheroes too. There are a lot of products that are being made from the movies and they don’t have a specific type of audience, they go for all types of audiences, regardless of age or gender. Many people who attend the events wear elaborate costumes of their favourite comic book, anime or gaming character. These costumes are a contraction of costume play, more commonly known as “cosplays.” The best-dressed guests get swarmed with admirers taking photos of them on their iPhones the minute the walk through the doors. 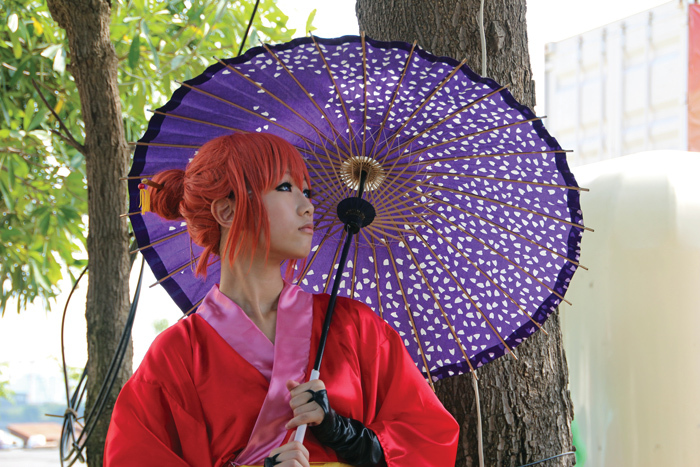 Cosplayers might spend weeks, months or even an entire year preparing their costumes, in anticipation of showing them off to the crowds who attend the comic con conventions. It doesn’t matter whether they spend thousands of dollars on custom outfits or if they invest time, using inexpensive materials and household items to transform themselves into these superhuman, mythical characters. There are others who go well above and beyond authenticity when it comes to making their own costumes. These costumes require a lot of labour in order to make them appear real. Mysterio, the famous Spider-Man supervillain, is a difficult costume to pull off if you want to go into detail. Known for his fishbowl head look, he produces smoke so he can escape from the web-slinger. Ultron, the evil robot in Iron Man is a tricky to build and make look legitimate. Using foam, leather and LED lights, the costume can look incredibly realistic, appearing like metal armour. Do you need to be rich to Cosplay as your favourite character? It’s all about the creativity, materials and construction to get the right outcome. Some of the materials they use are foam, spray paint, metal and latex, in addition to a variety of fabrics. Some people spend $30 on a costume, while others might spend up to $3,000. One woman created a Warcraft Night Elf outfit, which took her about four months of labour on-and-off, learning the leather work trade as she went along. Her finished costume consisted of ornate leather-and-metal armour and two huge painted scythes. The total cost for the costume was around $600. @2018 MODELSMANIA, INC. All Rights Reserved.